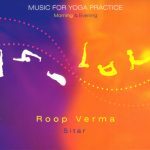 Yoga Music uses sounds that have an integrating quality for the body and mind, and hence are most conducive for hatha yoga practice. 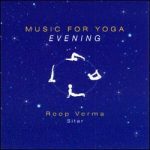 Yoga music derived from the ancient musical system of India helps yoga practitioners connect with and become aware of their bodies at the deepest levels. Above all, these sounds promote our perception of the greater harmony among all things. 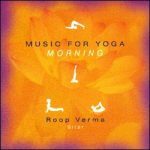 You will find Roop Verma's music most suitable for hatha yoga practice, as it is based on the ancient temple music of India and is designed for specific times of day. 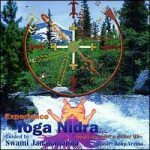 It is also conducive for the experience of Nada Yoga and Yoga Nidra – deep relaxation – and for meditation. Sound has an invincible power. Nothing is an exception to its laws of natural harmony. In the ancient temples of India, masters developed a musical system which has a natural balancing effect on the human body and mind by arranging natural sounds taken from nature. These seers of the past explored the varied possibilities for the alignment of body and mind with the Whole, which is the purpose of yoga – 'union with the Absolute'. Musical sounds have a natural harmony between them. When combined in a specific manner, they have a dynamic and astounding effect in balancing the energies of the body and invoking different feelings that influence our very DNA. Therefore, the arrangement of tones for different times of day, night and seasons, and how they relate with the changing states of body chemistry, were at the very center of study for the ancient Indian masters of sound and music. To preserve the purity of this music, it has been handed down in a strict oral 'master-pupil' tradition to this present day. "Yogas Citta-Vrtti-Nirodhah Tada Drstuh Sva-Rupe Vasthanam." Yoga is the cessation of the thinking mind. Then the witness is established in its own form. 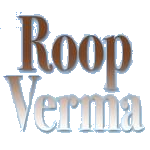 Roop Verma is a world-renowned Indian musician; a nada yoga master of balancing and therapeutic sounds. 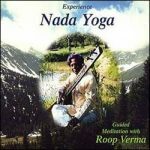 He studied music in the strict oral 'master-pupil' tradition from India's great maestros – Ustad Ali Akbar Khan and Pandit Ravi Shankar and Nada Yoga from Swami Shyam of the Himalayas and Sri Brahmananda Saraswati, the great pioneer of yoga in the West. 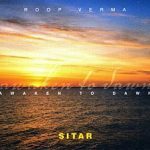 As a long time practitioner of yoga, he conveys absolute purity of tone and profoundly balancing and harmonizing qualities in his yoga music.